Now the little MUA nail polishes have 3 stand out things going for them that really lure me in, firstly the little 6.2ml bottles are super cute and really do resemble mini Essie nail polish bottles, secondly they're an absolute bargain at just £1.00 per polish... Yup that's correct 1 teeny, tiny pound coin and thirdly their are 24 awesome shades to choose from ranging from nudes, pastels, brights and even deeper, dark colours so theres certainly a shade to suit everyone. Because these little polishes are just £1.00 you would automatically assume that the quality would be abit naff, as that's what I first thought but I can honestly these polishes are great and quite comparable to other high street brands. The formula is perfect, its not thick and gloopy nore is it really thin and runny, I find 2 coats of each polish gives a full opaque look but with the nore nudes shades I always opt for 3 coats to really get the most out for the shade. The application process is good, I've never noticed any bubbling but it can be ever so slightly streaky on your first coat but the second coat seems to completely even everything out, I do find the brushes are slightly smaller than your average nail polish brush but for me I prefer that as I have tiny nails so it makes the application process easier for me. 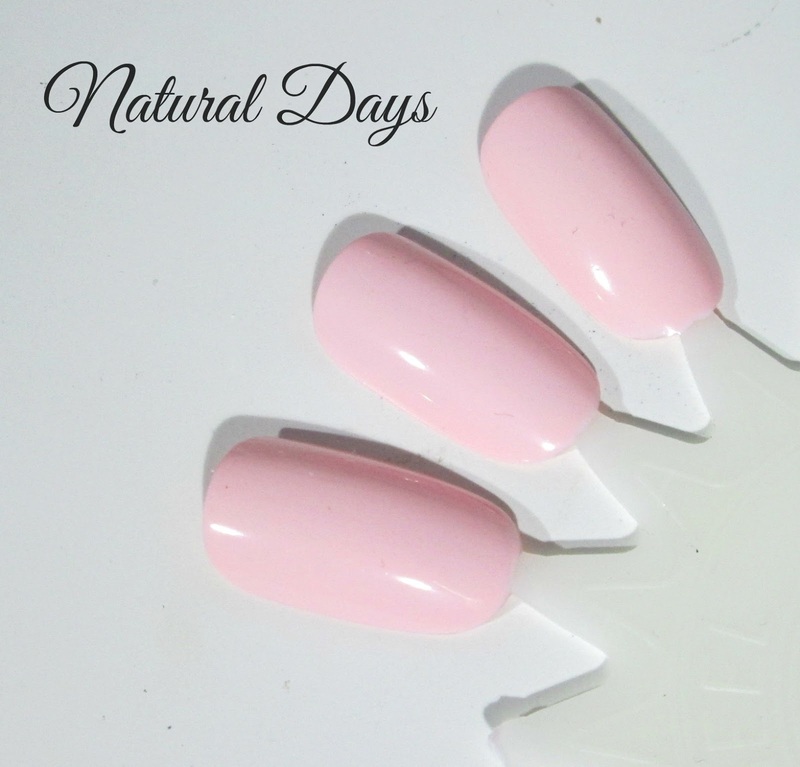 Natural Days is a pretty light pastel pink colour, its very girlie and fabulous for either Spring of Summer wear. I find this one takes 3 coats to be completely opaque or you can wear it very shearly with just one coat. 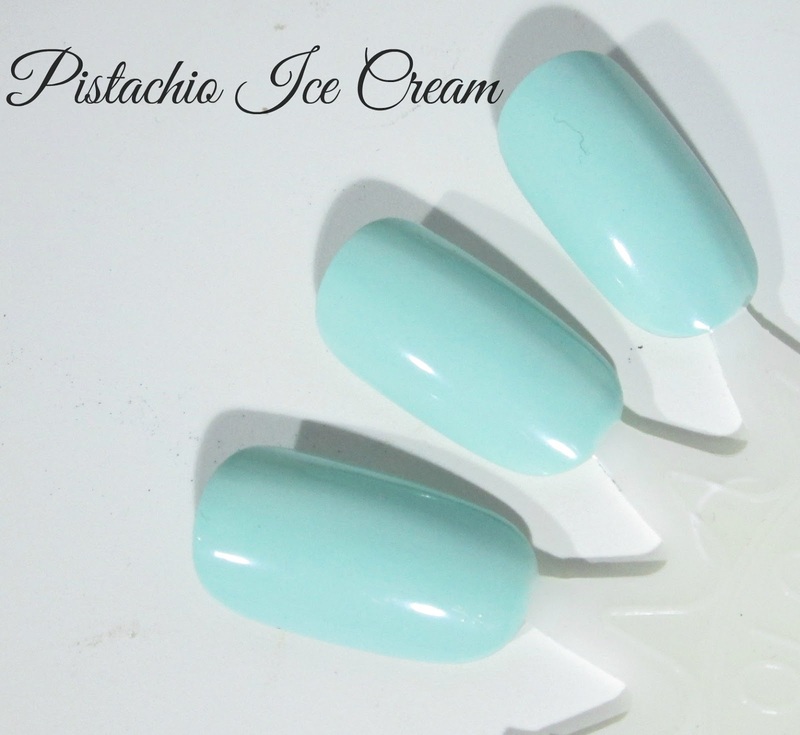 I adore this nail polish... As the name would suggest the shade really does resemble ice cream, mint ice cream for me he he. It's a great shade for the Spring and the Summer and suits all skin tones, even when I'm at my palest it doesn't wash out my hands at all, it's also a very complimentary shade where everyone asks what I'm wearing on my nails, and if your looking for an Essie Mint Candy dupe this is the little beauty. Strawberry Crush is one if the newer shades I picked up and is a stunning bubblegum pink shade, I've also found using a glittery top coat over the top of Strawberry Crush turns your nails into some sort of Princess gorgeousness he he! Love this shade! 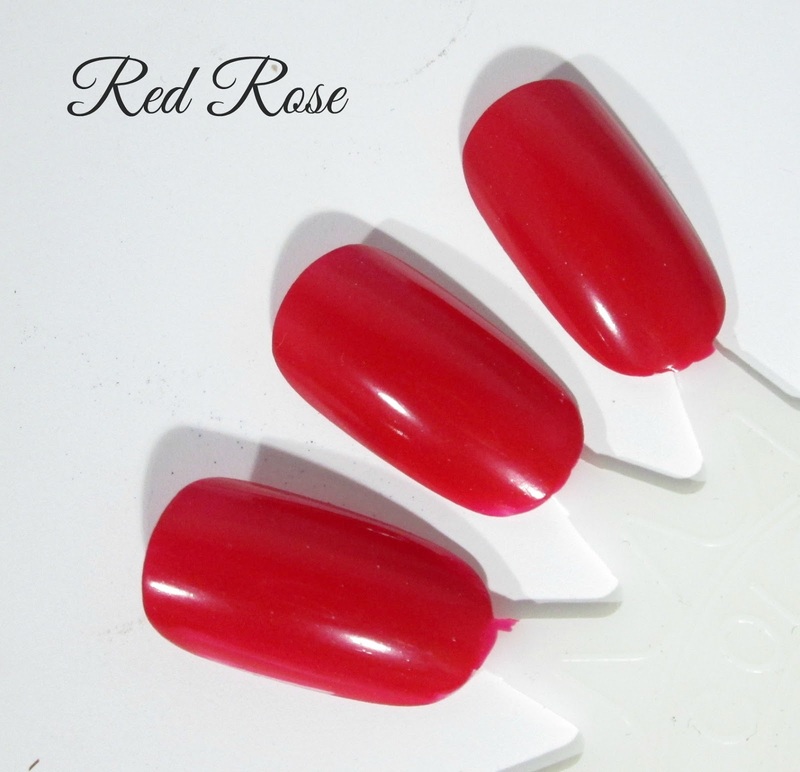 Again as the name would suggest Red Rose truly is a red rose/classic red shade which looks fabulous on nights out... Ohhh a little black dress with red rose on the nails and a red lip.. Gahhh doesn't that sound gorgeous! And there you have it beaut's my favourite MUA nail polishes out of the few I own. You honestly cant go wrong with these for just £1.00 each, the shade selection is great, they apply well and don't take an absolute age to dry, they last a good 3 days which I think is very good for the price, the bottles are cute and the brushes are nice to and never shed hairs as you applying. Whats your favourite MUA Nail Polish beaut's?? I'd love to know!! I love Natural Days. Never tried any MUA nail polish! I'm going to have to give it a go! I actually have all these colours too! :) I love them! 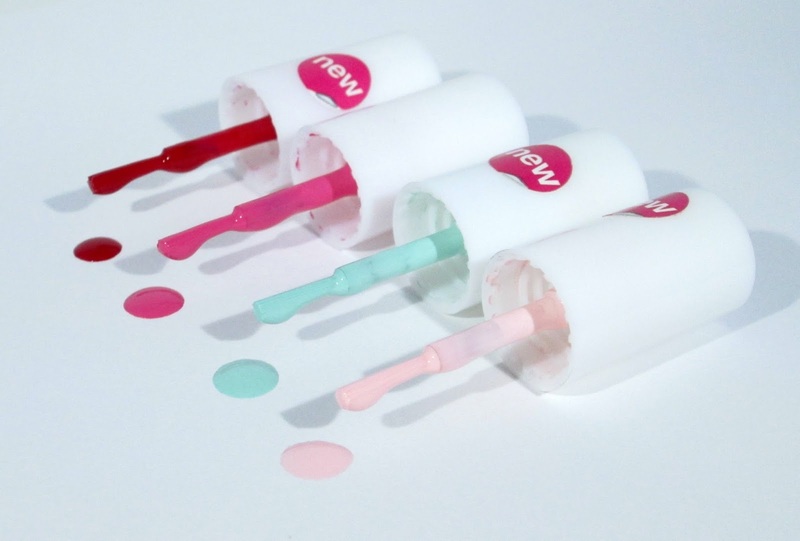 I've never tried MUA nail polishes, need to get my hands on them:)these shades are really pretty and I like your pictures a lot! Super cute shades, i love MUA! Gorgeous colours! I'll check them out next time in in Superdrug! For the money these are so good, and you can buy them all without the money guilt! I have not tried any MUA nail polishes, but that red rose shade is beautiful. These shades are so pretty. I have tried their polishes in the past and they do need layering to really get the shade in the bottle. I picked up Pistachio Ice Cream today! And Lush Lilac which is another beautiful one! Now to decide which to wear first! The two pink colors are too die for! So gorgeous!